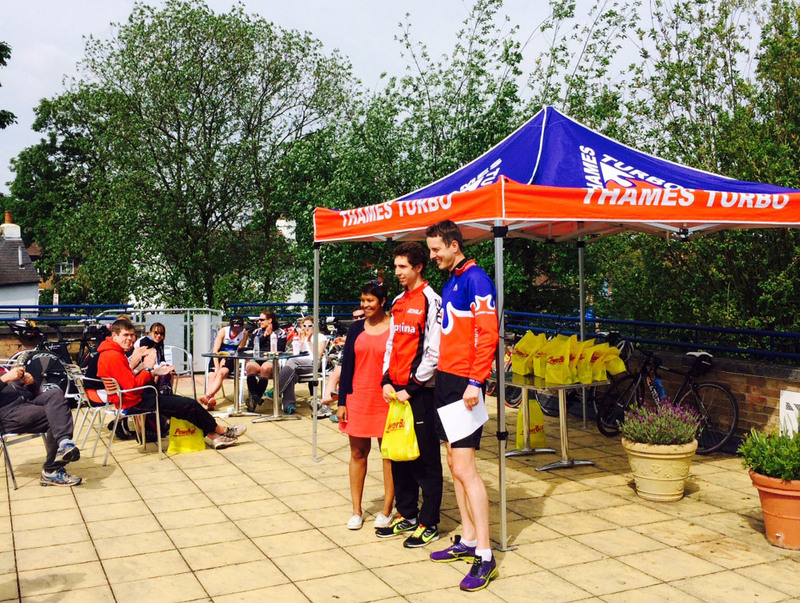 The second of the annual Thames Turbo sprint series events saw the chance for Optima to set the tone for the summer racing season ahead. With a strong turnout from all corners of the team, big things were expected. The results did not disappoint. With a virtual clean sweep of the top podium positions the squad walked away with both senior titles, top junior male and top male vet. The stand out performance of the day belonged to Rory Atkins who executed a perfect race to blow apart the field finishing a staggering 5 minutes before his closest rival. Showing himself to be a class apart from a strong field Rory set the fastest splits by some margin in each discipline on his way to a mind blowing course record of 53.08. 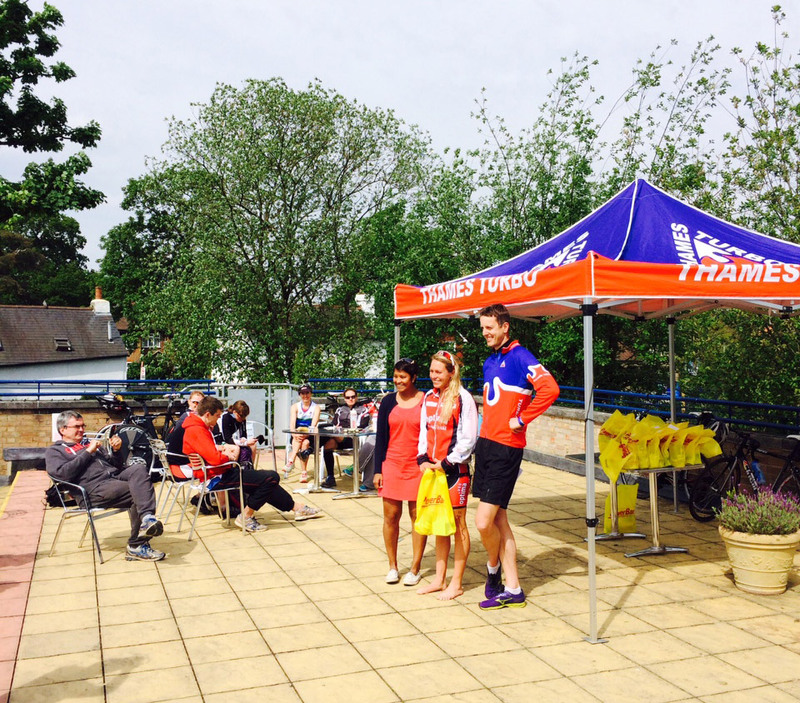 In a similarly impressive showing Anna Sykes-Brown put in complete performance to top the women’s podium. With the racing tight throughout Anna stormed through the 5k run in 19.20 to secure a well-deserved victory, a just reward for a consistent winter’s training and countless cold and soggy sessions at Battersea track. With a number of Optima’s talented junior section missing through injury it came down to Marcus Francis and Ollie Wood to fly the flag for the team. The boys, showing great maturity in not being phased by their challenging start positions at the head of the race, duly stepped up to the plate. Marcus was able to dip under the landmark 1 hour mark to take the junior honours whilst Ollie continued his exciting development by taking 3rd spot on the podium. Rounding off a stellar day for the team, and not to be outdone by his charges, coach James Beckinsale dusted off his racing shoes to take the Vets title for the second race in a row ensuring that he will finish the 2014 season with a 100% win record (X-country excluded). A great demonstration of the strength and depth of the talent in the team and an exciting indication for the season ahead.